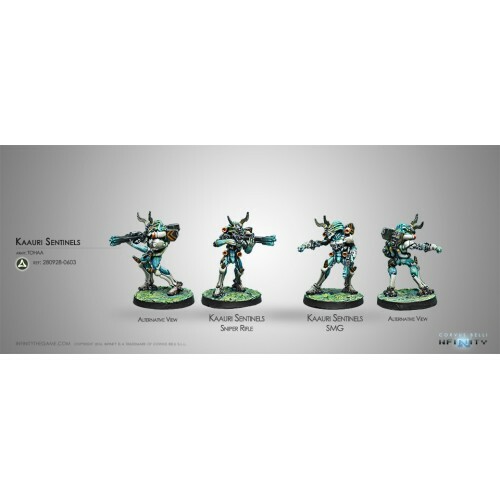 Kaauri Sentinels (Submachine Gun / Sniper). 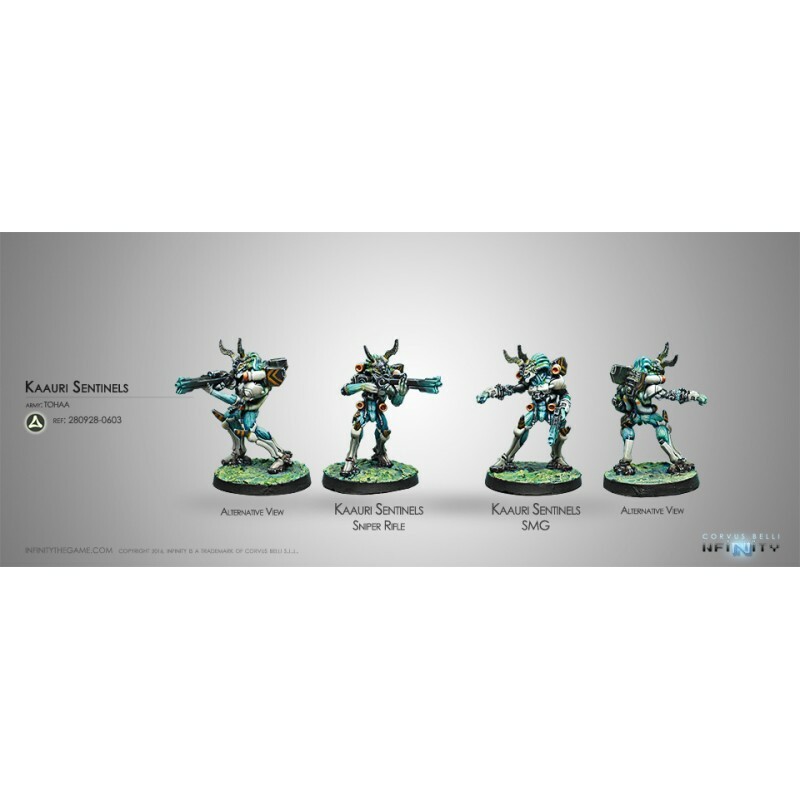 A Tohaa special project to develop an artificial sentry whose watchful eyes would spot any and all intruders, the Kaauri Sentinels are loyal and deeply devoted to their protective mission. Sale Info: These are the best option to protect your deployment zone and to hunt those annoying impersonators thanks to their Biometric Visor. The blister comes with two figures: one with a submachine gun to use at short range and another with a sniper rifle to cover long distances.